The Beautiful Alicia Floor Length Dress has been Designed and Made in Australia. 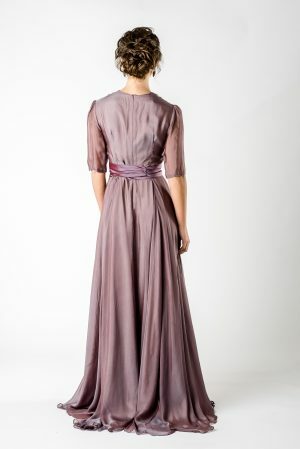 Iris Silk Floor Length Dress. Feature Neckline and V- neck Bust.